"...I got nothing. I lost my house, my car, everything. I left a part of my life there at Stax. I spent just about a year not knowing what I was doing, staying drunk all the time, just about going crazy. Boy, I was a down sonofabitch." Thats what Chips Moman told Peter Guralnick in Sweet Soul Music. Around this time, Moman did some sessions for Buddy Killen in Nashville, mostly recording demos of Country songs for his Tree publishing company, and working with a young kid he had just signed to his Dial label named Joe Tex, whose records were going nowhere. There was no way Chips could break into the 'A team' establishment there in Music City, and he knew it. 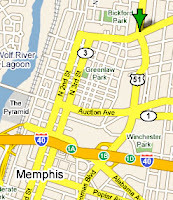 Back in Memphis, he hired a lawyer named Seymour Rosenberg to sue Stax for the money they owed him. An out-of-court settlement was reached in early 1964, for $3000 (!). "I think a deal was cut myself," Moman told Rob Bowman, "the fact is, who would settle for that?" 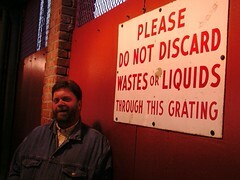 The fact remains that he did, which I think is fairly indicative of his state of mind in those days. There are those who say that Chips was in a 'deep depression', and others who will tell you that the ol' gambler in him was merely 'playing possum'... In any event, he soon entered into a partnership with Rosenberg to open a studio in North Memphis on the corner of Thomas and Chelsea in an old grocery store (Rosenberg's father owned an Auto Parts store on the same block). Once again situated in a 'black neighborhood', they bought in some used equipment, and set up shop. They named it the 'American Sound Studio'. Rosenberg, like seemingly everybody else, had his own record label, Youngstown, and figured he had the perfect set-up. One of the first people to record there was a young kid from the neighborhood named Isaac Hayes. His vinyl debut, 'Laura, We're On The Last Go-Round' was released on Youngstown in 1963 and (predictably) sank like a stone. Chips, still in the midst of his self-destructive tear, soon drank and gambled away his share of the studio, and apparently just didn't care. Before long he was back 'painting gas stations', and working as the engineer at the studio whenever they needed him. He was doing sessions for small local labels like Pepper and Goldwax, working for whatever they would pay him. 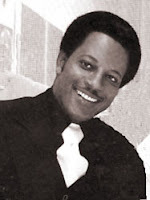 Goldwax signed a guy named LeRoy Daniel to the label in 1964. "We got this producer, man," Goldwax owners Quinton Claunch and Doc Russell told him, "All we ever have to do is give him a bottle of whiskey and a couple of pills, man, and he'll cut you a f#*king record!" They didn't know that Daniel was a good friend of Moman's from way back. When LeRoy told him what they had said, it kind of woke Chips up a little bit. "...that's the way I was living, really," he told Guralnick, "I was just barely getting by..."
In early 1965, Isaac Hayes, who wasn't happy with his limited role at Stax, was back at American. 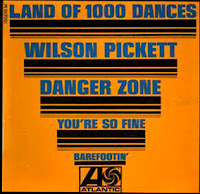 He brought along David Porter (who Chips had written some songs with in the early days on McLemore Avenue) and Homer Banks, who was then working at Estelle Axton's Sattelite Record Shop. Smelling revenge, I'm sure, Moman cut a single on Homer called 'Sweetie Pie', that was released on the local Genie label. It didn't sell, and Hayes & Porter were soon back at Stax, working with a new act the label had signed, Sam & Dave. 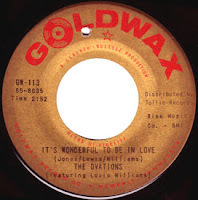 Goldwax was back at the studio soon after that with The Ovations. It's Wonderful To Be In Love would become the first single recorded there to break into the top 40 on the Billboard charts, reaching #22 R&B. You know, Moman had told Guralnick that he charged Goldwax $5000 to produce a session the next time they came in, after the whole 'whiskey and pills' thing. He maintains it was a James Carr session, but Guralnick kind of discounted that, saying "the chronology of James Carr's career does not exactly fit the story..." It may just have been this one on The Ovations. Be that as it may, things were about to change. One night at a local burger joint in the summer of 1965, Moman saw a bunch of high school kids dressed in these matching 'mod' outfits. It was the height of the 'British Invasion', and he knew that could only mean that they were in a band. The wheels were turning. He asked them if they'd like to make a record, and invited them down to American later that week. According to Phillip Rauls (who would later become their road manager), they signed with Rosenberg's Youngstown label and cut a single that didn't do much. Their second Youngstown 45, Sometimes, wasn't doing anything either, until local DJ Roy Mack flipped it over and started playing the B side (chalk up another one, folks!). Moman had brought in a song that had originally made some local noise for an R&B group called The Avantis, and had the boys cover it (a song he hated so much, he later told author Jim Dickerson, that he "mixed it with the sound turned off") for the flip. 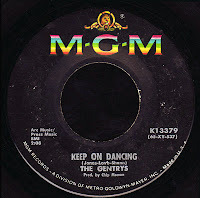 When Keep On Dancing was picked up by MGM for national distribution, it just took off, spending 13 weeks on the charts, going all the way to #4 Pop in October, 1965. If you look at the scan above, you'll notice that it reads 'Prod. by Chips Moman'. A 'bean farmer' named Don Crews bought out Rosenberg's share in the studio at this point, and Chips gave him half-ownership of the Gentrys record in return for what he had lost initially, half-ownership of the studio. 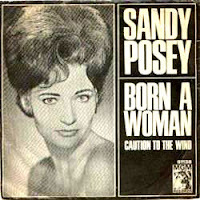 His next project was to produce a record for MGM on Sandy Posey (the receptionist and secretary at American), Born A Woman. Showing, in my opinion, the depth of Moman's talent, this Country Pop piece of fluff would go to #12 on the hot 100 in the summer of 1966. At home in all 'genres', he was establishing American as a force to be reckoned with. Jerry Wexler, meanwhile, had been having his own problems with Jim Stewart, who had barred him from recording Atlantic artists like Wilson Pickett and Don Covay at Stax in December of 1965. Moman was only too happy to help out. Not satisfied with the equipment at American, and high on Muscle Shoals after the success Percy Sledge had been bringing the company with When A Man Loves A Woman, Wexler hired Chips and his bass player at American from day one, Tommy Cogbill, to come to Fame and play on Pickett's sessions there beginning in the spring of 1966. That's them (along with the Stax horn section) on elemental soul classics like Land Of 1000 Dances and Mustang Sally. Unreal. 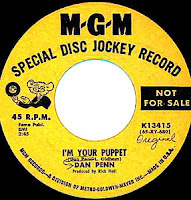 Dan Penn, who had a single picked up by MGM himself, met Moman at the company's Nashville digs in early 1966. The two quickly became inseparable, and before long, he left Rick Hall behind, and came to work with Chips at American. As we've discussed in the past, the two would write The Dark End Of The Street during breaks in an epic Poker game with Papa Don Schroeder at the Nashville Disk Jockey Convention that summer. Wow. When Wexler brought Aretha Franklin to Muscle Shoals in February of 1967, Cogbill, Moman and Penn went too. That's Chips playing the incredible lead guitar on I Never Loved A Man The Way That I Love You... imagine? As if that weren't enough, Penn and Moman had written another stone classic for the sessions, Do Right Woman - Do Right Man. 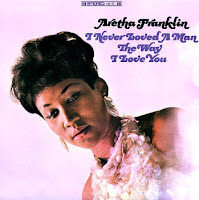 Only a rough version of the song had been completed before the infamous blow-up and consequent quick departure of Franklin from Fame, and it was completed up in New York. Moman, ever the engineer, told Matt Dobkin, "I flipped out over it. The only thing I found wrong, and I still find wrong; Obviously, Rick Hall's machine and the machine in New York were traveling at a slightly different speed. The piano is out of tune on that record, and it bothered me immensely... if you listen to the piano, you hear it - it's almost a quarter-tone sharp to the track." Oh, the soul minutiae of it all! 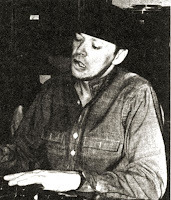 Moman, as he told Allen Smith, had been consolidating his own rhythm section at American "one at a time," and by early 1967, he was ready. 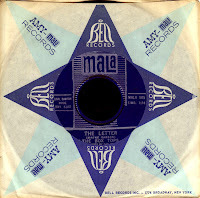 Alternately known as The American Group or the 827 Thomas Street Band (or, later on, merely as The Memphis Boys), they would place 122 songs in the top forty on either the R&B or Pop charts over the next five years. As you know, we've been focusing on some of the lesser known achievements of that incredible band over the last few months, which is, in my opinion, where the true genius of Moman and his studio can be found. 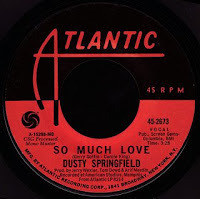 Just as he had done with Dan Penn, he lured Papa Don away from Muscle Shoals in the spring of 1967, and he was the guy that really got the ball rolling as he cut monster hits Shake Your Tail Feather on James & Bobby Purify and For Your Precious Love on Oscar Toney Jr. at the same session! This was also when Schroeder was instrumental in getting The Letter picked up for distribution by Bell Records. Like true brothers, Penn and Moman had been needling each other for some time, each challenging the other's idea of what made up a hit record. When Chips handed Penn the job of producing The Box Tops over the course of a weekend when he wasn't around, he really never thought anything much would come of it. Even when he heard the finished master, he refused to admit it was any good... especially with that "damned airplane" on there. As Penn told Guralnick, "...it was the biggest record he ever had. It jumped on #1, and it stayed up there for four weeks, and, man, he wouldn't even come to the studio that whole four weeks, and when he did, he was a crabby old man, just didn't have nothing to say..."
Up to this point, as Wayne Jackson told Peter, Moman would "get his front money, and get a boat and a Thunderbird and go to Florida until he was broke and then come back and do it again." A big fan of the 'toys' (like the ol' TR3), Chips wasn't taking things too seriously. I spoke with Papa Don down in Pensacola while I was doing my research for this post, and asked him how come he stopped recording at American. He made it a point to tell me that it wasn't anything personal, and that he considered his friend Chips (who he visited with just last year), to be an 'incredible talent', and the best engineer in the country in those days. 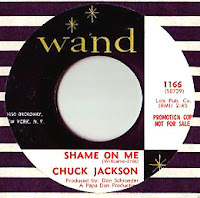 What happened, he says, was 'strictly business'; His friend Florence Greenberg had hired him to work his 'Papa Don Production' magic on one of Wand's biggest artists, Chuck Jackson. He booked American for the session, and flew everybody down there, had the material selected, the charts written up, and the whole nine yards. When it came time to cut the record, Chips was nowhere to be found. Finally, he told Schroeder that he was 'too tired' (this was, if you do the math, almost certainly during that month when The Letter sat there at #1, or shortly thereafter)... "He only wanted to work when he wanted to work," Schroeder told me, "and I just couldn't do business like that." Papa Don finally produced the session up in New York, and sent Shame On Me into the R&B top 40 in the fall of 1967 (thanks for yet another great story, Papa!). Chips has stated that the unprecedented success of The Letter 'jumpstarted' him, and woke him up to the fact that he could end up with a losing hand yet again, if he didn't pay attention. He 'grabbed on to the board' and refused to let it go for the next five years, often sleeping at the studio for days at a time. Jerry Wexler, once he got wise to the fact that Moman was not about to make the trip to New York anymore, advanced him $5000 to upgrade the equipment at the studio, and Atlantic soon became their biggest client. 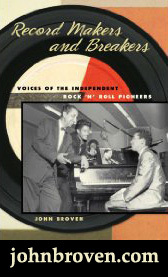 Untouchable records by the likes of Esther Phillips, Wilson Pickett, Solomon Burke, Don Covay, King Curtis, Arthur Conley, Dusty Springfield, Herbie Mann, and the Sweet Inspirations (to name a few) were recorded there over the next couple of years, under the auspices of Tom Dowd and Arif Mardin. Old friend Buddy Killen began bringing his artists to Memphis to record as well, resulting in some incredible stuff. He brought New Orleans legend Clarence 'Frogman' Henry in for a few sides, including the great This Time, which was penned by Moman. 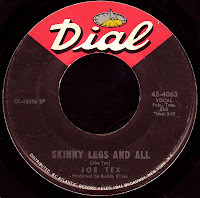 Records like Joe Tex's Skinny Legs And All were just huge, and brought Reggie Young's trademark guitar licks into the mainstream once and for all. As we've discussed, after John Richbourg cut Joe Simon's No Sad Songs album there in late 1967, he made a decision to record the rest of his Sound Stage 7 artists at American as well. 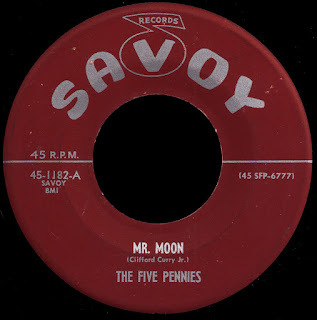 Driving folks like Roscoe Robinson, Sam Baker, and Ella Washington over to Memphis, he used Chips as the arranger on many of his 45s from that period (there's a really cool one of those up on The A Side as we speak). 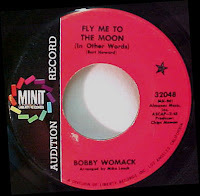 As we talked about only a few weeks ago, Bobby Womack practically moved into the studio during this period and, in addition to cutting a string of his own hits like Fly Me To The Moon, How I Miss You Baby, and Woman's Gotta Have It, he played guitar on countless other sessions, adding his own distinctive sound to the mix. At the same time that all of this authentic soul was being laid down, American continued its dominance of the Pop charts, cranking out top ten hits for people like B.J. Thomas and Neil Diamond seemingly at will. 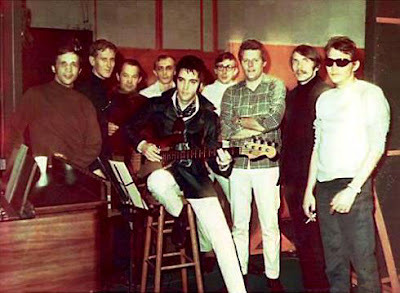 Much has been made of Elvis' sessions at American in early 1969. You can read about them in painstaking detail on the myriad Presley pages that are all over the web. I just want to bring home a couple of points here, as they relate to Moman. A true poker player, Chips knew how to read people. He took the anxious Elvis aside and told him that he would cut him a number one record (something he knew he wanted more than anything else), but that he'd have to follow his direction. He held the King in the palm of his hand. Elvis did what he said. The songs Moman chose for him were unlike anything he had done before, and challenged Presley to try to actually sing, something he hadn't done in years. 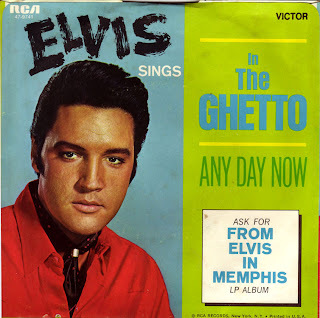 In The Ghetto, which was resisted by everybody in the Elvis camp as being too much of a 'message song' shot to #3 that May. 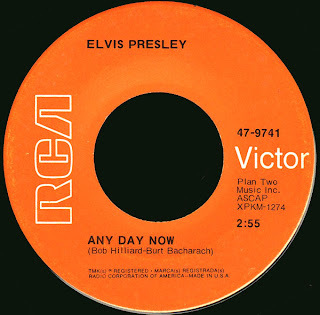 Released before the actual album (From Elvis In Memphis), it featured our current selection on the flip. A cover of Chuck Jackson's biggest hit, I'm sure this one was hand picked by Moman as well (possibly a tip of the hat to Papa Don?). You can hear Elvis struggling a bit there on the bridge, as he tries to stay on key. Is it soul? No. In so many ways, though, that was Moman's strength, the ability to bring to each production exactly what was needed for that particular artist, even if he was a King. Suspicious Minds went to number one that September... Chips had delivered. Just a shout from the amen corner saying that you're doing truly amazing work here. Deep, deep stuff (in all senses of the word). Once again another noble post championing one of the true heroes. Hoping you could solve a quandary for me from this time period: Is Chips playing that great, simple pick lead on Joe Tex's "Show Me"? That is a good question, brother! Show Me entered the Billboard charts on 3/18/67... before Papa Don came there, before Womack... if you listen closely, there are two guitars, the 'chank' rhythm and that 'simple pick lead'. It is entirely possible that Reggie Young is on the chank, and Chips is on the lead. It sounds like him, right? 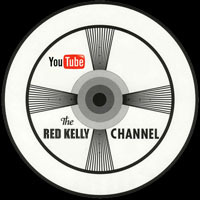 Anybody out there have more info on the Buddy Killen American sessions? Nice work here. Having found pop/rock in 1969, the Elvis stuff that came from American is the first Elvis stuff I really listened to. And it's nice to know some of the back story. Thanks! Boy - someone needs to do a biography on Chips and American - Guralnick or Rob Bowman - are you listening! Grow some ears -- Moman's work is good but not that exceptional. You're exaggerating his role during Elvis' sessions. And he was simply pushing for a hit, indeed, not aiming at artistic pinnacles. Have a listen to the outtakes -- 85% of Elvis' work there has been available for years. Many wonderfully begun takes get interrupted because Moman just *has* to feel in control -- Elvis sings more soulfully than on the master, but Moman interrupts to fiddle with the tempo, etc. I guess this misconception of him being so demanding on Elvis' singing has risen due to the fact that for the first few days Elvis suffered from laryngitis, so you have a lot of interrupted takes due to off-key singing. Fact is, 80% of the time it's Elvis who cuts the take short. 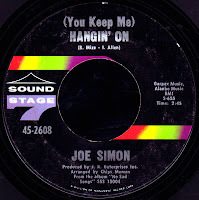 hey everyone I've linked to Red Kelly's blog in the past, but I wanted to draw your attention to two recent posts covering Chips Moman and the history of American Studio. Red is a great writer and a true music scholar. This is another must read for fans of American and/or Chips Moman. A fabulous job Red!